Last night, I hit up the Microsoft Garage MakerLab in Redmond with a coworker. 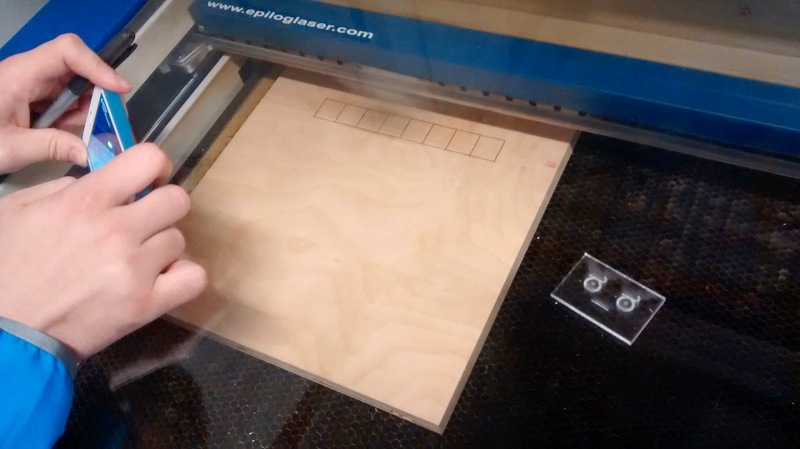 We got trained/certified on use of the Epilog laser cutter -- a somewhat astonishingly quick and easy process. Working the Epilog is hardly any different than any other printer, except you only need to unjam it if something starts on fire. 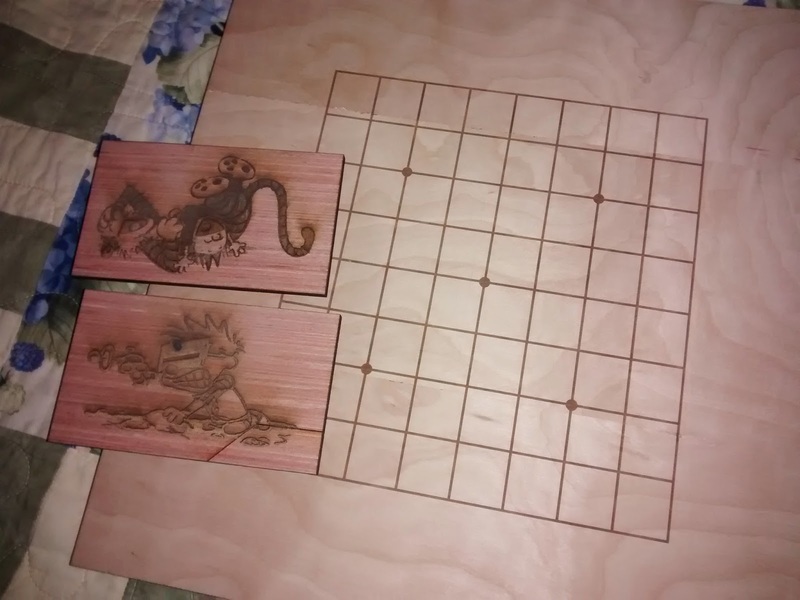 My goal for the evening was to create a go board that the boys and I can use together. (Recall that Reed has played before and done quite well on his own.) 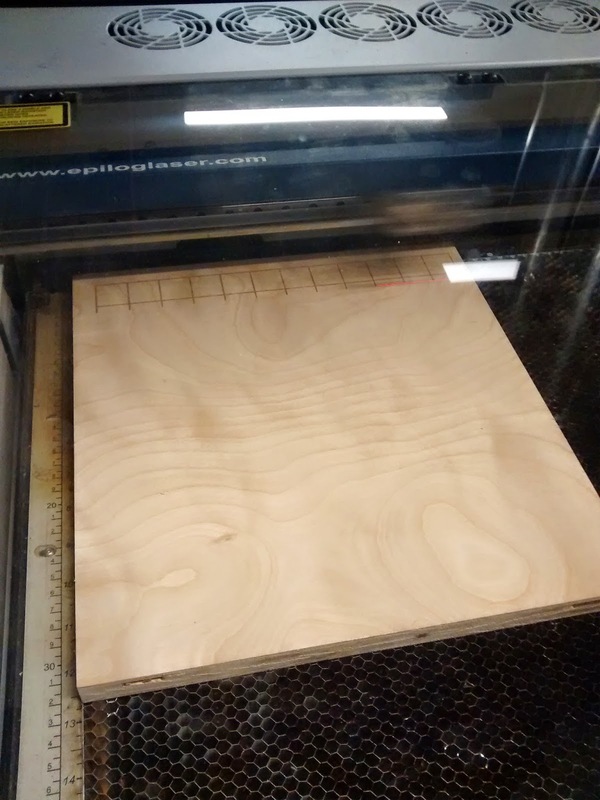 While in Minnesota this August, I used Dad's woodworking equipment to cut some plywood blanks that were to be two go boards -- 13x13 on one side, 9x9 on the other. They fit nicely into my backpack for the return trip. 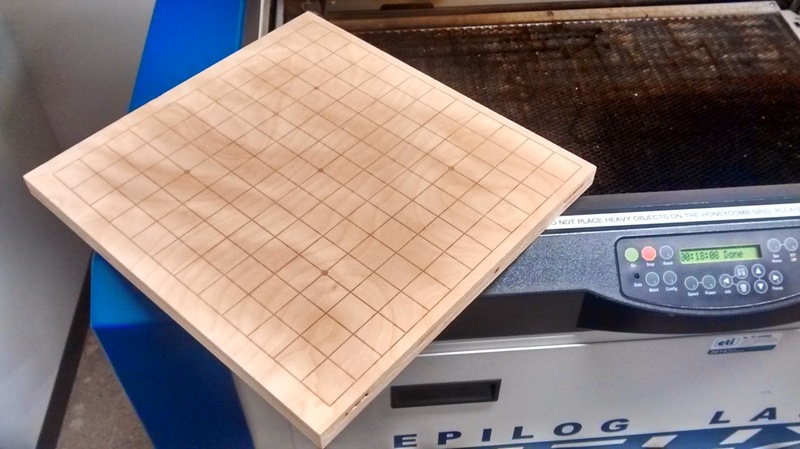 Once I was reasonably confident in the placement of the grid, I loaded one of my blanks into the laser. Within 15 seconds or so, I realized that I had hosed up the margins in my input file, as the top and right edges are quite narrow. The finished product, while not perfect, seems pretty good. This was etched at 600dpi, and when you inspect the lines (and especially the dots), you can see that it's fairly low-resolution. The 9x9 turned out quite well, albeit also slightly off-center. 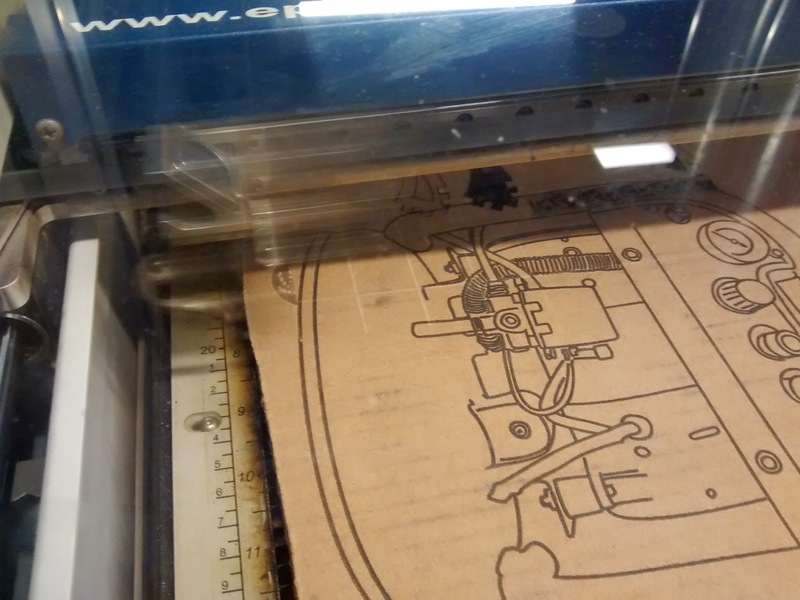 Before I left, I loaded up a couple Calvin & Hobbes images to see how raster etching worked out. I etched and cut two small images, one for each of my boys. When they woke up this morning, they found Calvin, Hobbes, and Spaceman Spiff on their toy box waiting for them.